o Donations – please contact the school office or Lori Zoulek at [email protected] , Chairperson, Development & Fundraising Sub-committee. Cash - Cash gifts are the easiest way to support our annual effort to create a comprehensive fundraising plan. 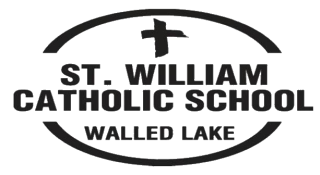 Donors can stipulate how they want the funds to be used – please see the St. William Catholic School Wish List. Matching Gifts - Many companies match employee gifts. This is a great way to double your donation. Contact your company’s human resource department to request your company’s Matching Gift Form and mail that in along with your donation.